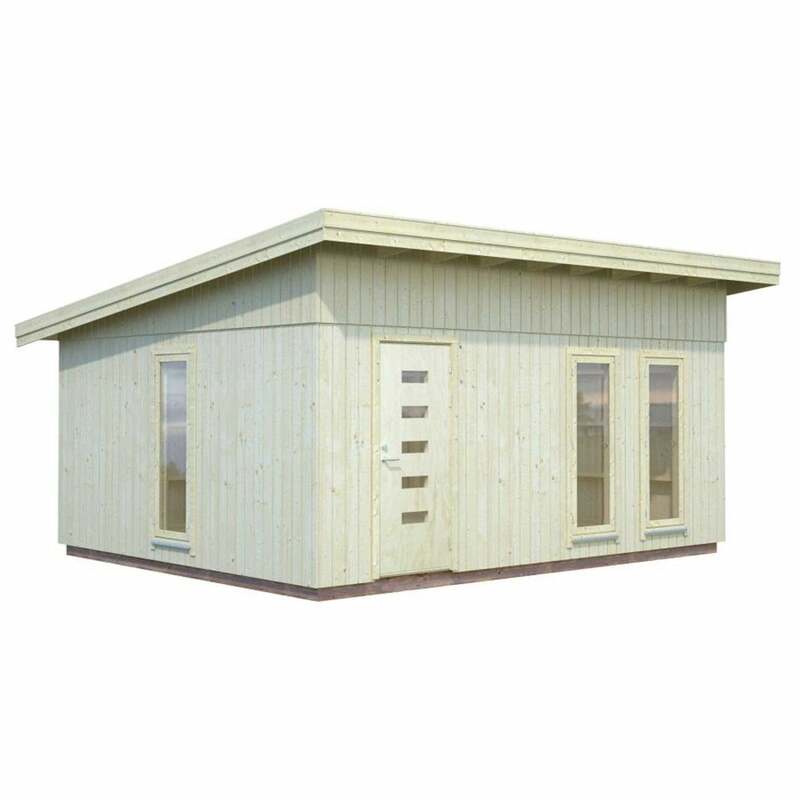 Palmako Annika 21.5m²: The Palmako Annika features this contemporary style Nordic house design, which consists of one large room ideal for using as a garden office, gym or a reading room. The 21.5m² building is constructed with beautifully crafted fine sawn Nordic Spruce cladding and ready-made wall elements with wind protection plastic. The roof and floor of the timber building is made with 19mm tongue and groove boards and pressure treated foundation joists for a solid structure. The Palmako Annika features a single door which is fitted with a cylinder locking mechanism to keep your items secure when not in use and also includes three double glazed windows to allow plenty of natural light and ventilation into the interior.